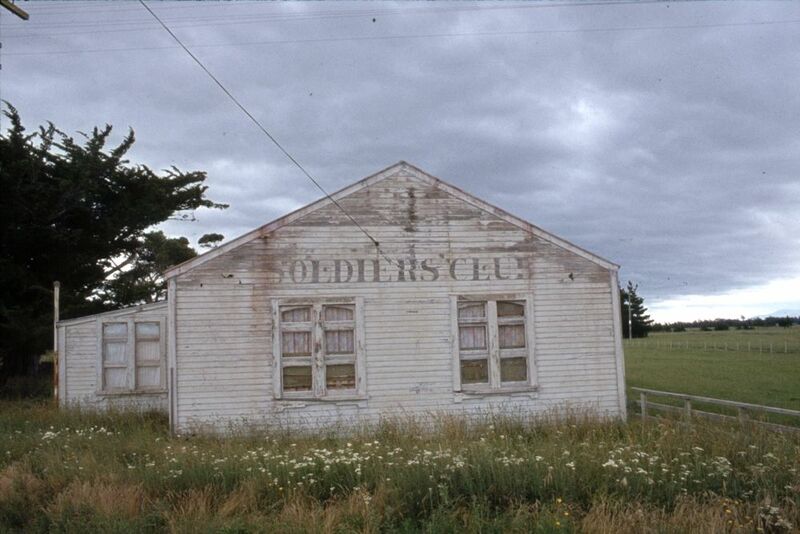 The hall was part of Featherston Military Camp Soldiers’ Club, relocated in 1921 to the Kaiwaiwai district, half way between Featherston and Martinborough. Wairarapa MP Alexander Mcleod opened the hall on 8 September 1921. It hosted a range of social and sporting activities. For many years the old lettering for ‘Soldiers’ Club’ was visible on the hall’s frontage. The last active user seems to have been the Kaiwaiwai Indoor Bowls Club, in the 1980s. The hall’s future is uncertain.